The ZenPad C Series is the most affordable choice out of all the ZenPad tablets. Asus always seems to outdo themselves when it comes to providing technology at great prices. Take the price of the ZenPad C 7.0 (Z170C) for example. 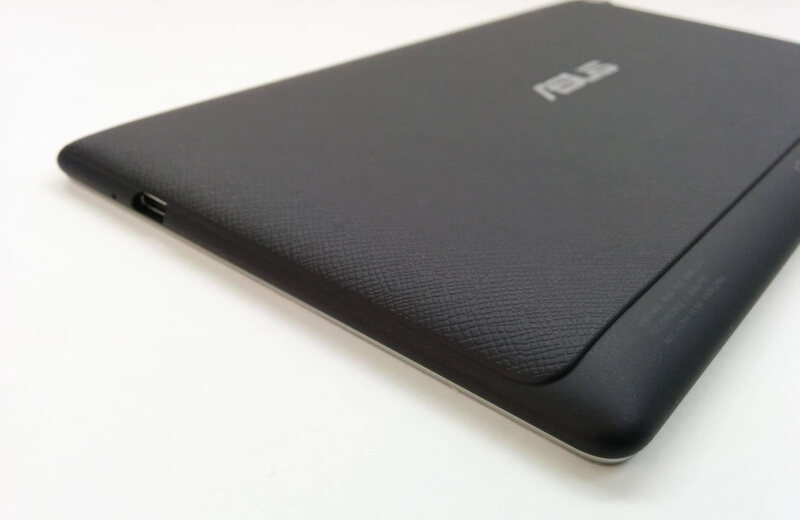 With a price anywhere from $94 US to as low as $84 US, Asus is hitting a price point that is much lower than their already affordable ZenPad 7.0 model which is $129 US. I call this cheap and cheaper! The ZenPad C 7.0 only comes in a 7-inch size and does not have the same interchangeable design that the ZenPad 7.0 (Z370) tablet has. The ZenPad C 7.0 is as basic and as affordable as you can get. Depending on what region of the world you live in, you may see a version of the ZenPad C 7.0 that comes with 3G voice calling capability. Those models include the Z170CG and Z170MG. My review should give you a good idea of what you’re getting, but the model I’m reviewing here is the non 3G version, the Z170C. I hope to provide a good explanation and review of this tablet that will be helpful to you regardless of what particular ZenPad C 7.0 you are shopping for. 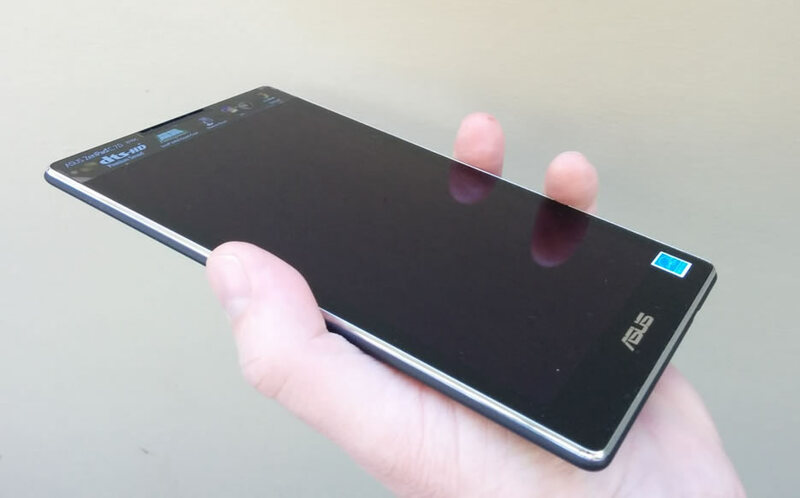 Asus made it a point to create price friendly tablets that have a beautiful design. 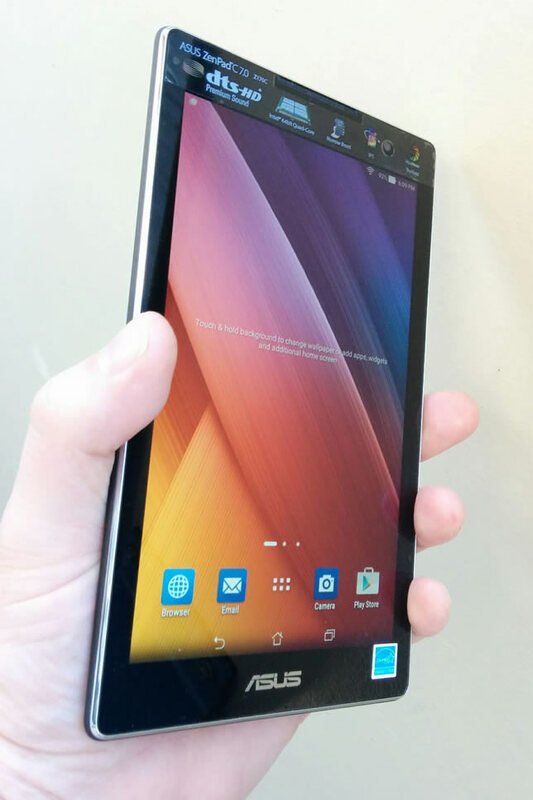 In this regard, the ZenPad C 7.0 has a lovely appearance and design. In no way does this appear like an inexpensive tablet even though it is. 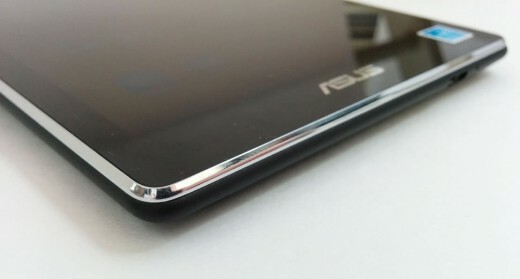 On the front, there is a nice chrome trim that covers the edge surrounding the screen which provides a nice look. 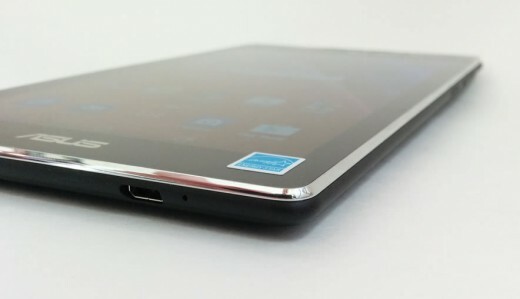 There is a single front facing speaker at the top end which is a design Asus committed to with all their ZenPad tablets. Front facing speakers are a great feature on a tablet! The rear of the ZenPad C 7.0 features a textured hard plastic design with a smooth plastic strip along one side. I would say that backing is not particularly grippy in nature, but it feels good to hold. Certainly the ZenPad C 7.0 (Z170C) won’t beat more expensive 7-inch tablets on the market in terms of weight or thickness. In general if you pay more, you will get those features like super thin and super light. You might be surprised though that the slightly more expensive ZenPad 7.0 (Z370C) is 272g and 8.7mm whereas the ZenPad C 7.0 (Z170C) is 265g and 8.4mm. 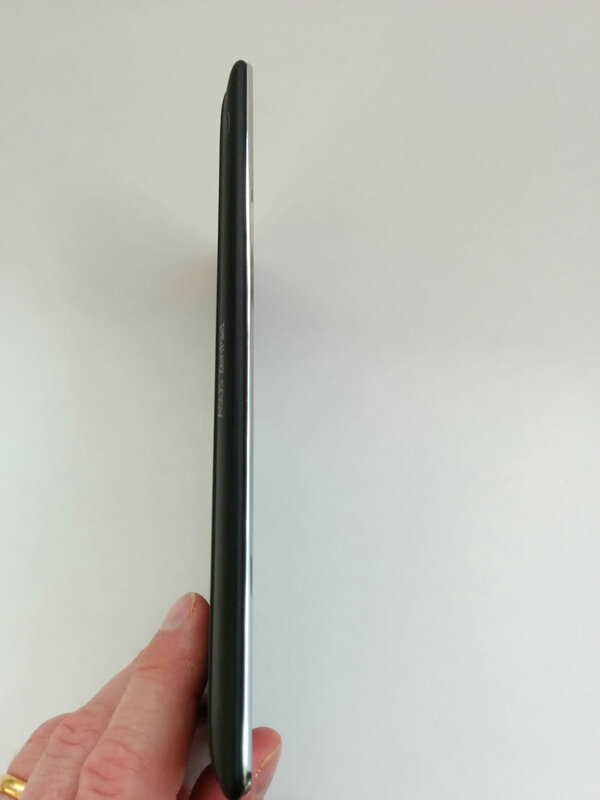 Of course this weight and thickness of the ZenPad 7.0 is attributable to the unique interchangeable design. Regardless of how the ZenPad C 7.0 compares to other more expensive 7-inch tablets, I found the weight and thickness of the ZenPad C 7.0 to be very comfortable. I’ve spent some time with the wider 4:3 ratio ZenPad S 8.0 and by comparison, holding the Z170C is drastically easier to hold and handle. The more accurate comparison would be the ZenPad 8.0 and still I found the 7-inch size very handy. 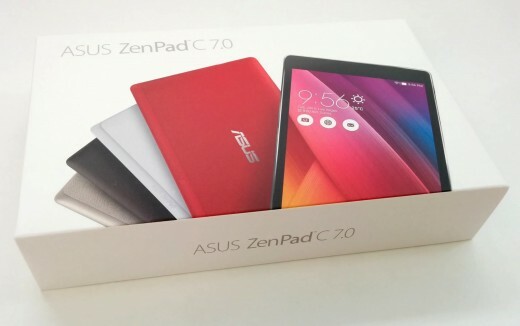 I realize full well that 8-inch tablets are extremely popular, but if portable is ultra important to you, then the ZenPad C 7.0 is going to be very satisfying. Being able to pocket the ZenPad C 7.0 is something that I was very fond of. 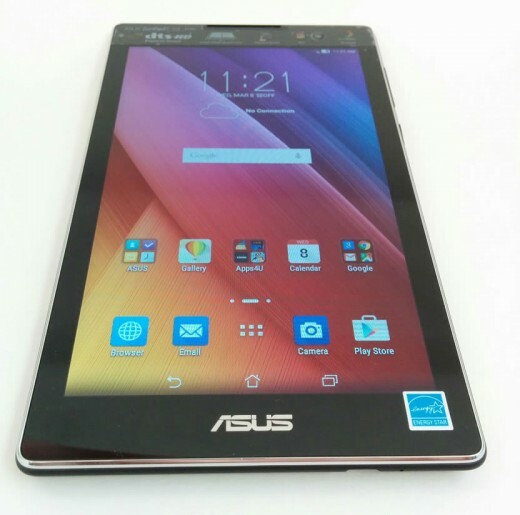 With the low price of the ZenPad C 7.0 (Z170C), Asus went with a lower resolution 1024×600 resolution display. As a point of comparison, the $129 price ZenPad 8.0 comes with a 1280×800 resolution display. The ZenPad 7.0 also comes with that same 1280×800 resolution, but keep in mind that in a lot of markets (including North America) the ZenPad C 7.0 is the only 7-inch ZenPad available to buy. If you look around though at other tablets that are of similar price in the 7-inch size, you will realize that the ZenPad C 7.0 has the same resolution as the competition. If you’re accustomed to retina displays like on an iPad or iPhone or similar Android device, then it will be noticeable to a point. If you’re in the market for an inexpensive tablet, this is the resolution of such tablets. So given the modest resolution, the ZenPad C 7.0 is very respectable in real use situations. Things like photos, videos, games and websites are excellent at this resolution. You can watch YouTube videos in a 720p resolution and the clarity is terrific. Both video and games provide excellent viewing on the ZenPad C 7.0 which may surprise people when considering a 1024×600 resolution display. It’s much better than you might think! In terms of readability, the Z170C performs well, but smaller text lacks a sharp crispness as you might expect. This is noticeable with Android OS icons and text in settings and menus. Even with my eyes accustomed to retina style displays, I didn’t find the text and icon clarity to be much of an issue. Asus does offer some display tweaking via their pre installed Splendid app. You can choose from a few presets, and this allows for a quick tweak. You might like for example, the Bluelight Filter mode which is optimized for reading. You can also adjust the screen color saturation levels as well as hue. I will say that out of the box, the ZenPad C 7.0 (Z170C) lacks a bit of color saturation (pale) but a simple adjustment via the Splendid app can make a dramatic difference and improvement. Should you buy this tablet I recommend making some tweaks right off the bat. 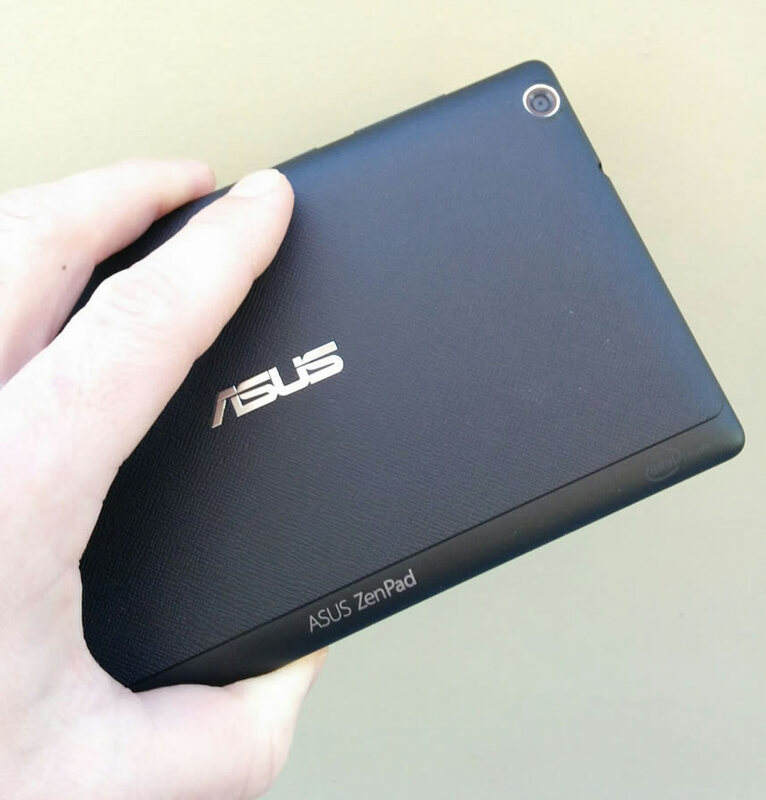 I have been fortunate to have access to the other ZenPad tablet models over the past few months for review purposes. This means I have a basis of comparison in terms of running battery tests and I can say with certainty how the ZenPad C 7.0 performs against the other Asus ZenPad offerings. I will also give you a realistic look at battery life when it comes to doing things like watching a movie or playing games. So with these results, in real terms, a 2 hour movie that is 720p will drain your battery from 100% down to around 20% to 36% depending on whether you run full brightness or half brightness. If you need to squeeze more battery life while watching a video, I found that even at 25% brightness you can still watch comfortably. Using a 25% brightness should save you an extra 5-10% of battery life from the results I’ve listed here. Standby time is good when using just regular, non power saver settings. In a 12 hour period, with no apps open in the background and wifi on, the battery dropped 3%. Asus has really put a lot of effort into their power saving modes which are a simplistic way to really maintain battery life in between long stretches when you might not pick up the tablet for a while. As I’ve mentioned in other ZenPad reviews, if battery life is something that concerns you, there are some cheap options available. External battery packs are a very handy accessory, cost as little as $15, and are versatile in that they can power up more than just your ZenPad. I think it’s just important to know what you’re getting in terms of battery consumption in the Z170C so that there are no surprises. In my usage, I wasn’t in a pinch for battery life because charging was always readily available. Plugging in at the end of the day is pretty typical of any devices so this shouldn’t be a big hindrance. 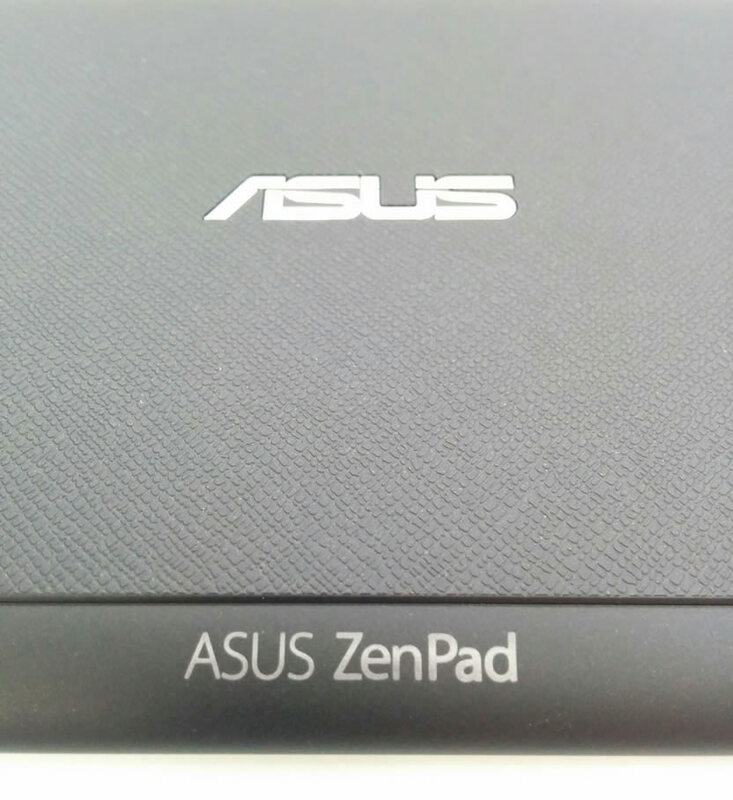 I will confess that one aspect that I most enjoyed about the ZenPad C 7.0 is the small size. I realize that 8-inch tablets are the rage right now, but a few short years ago, 7-inch was the rage. To me, the size of the Z170C means that it’s more portable and it’s fit for (most) pockets. When I took this tablet out with me to one party in particular, I had a couple people ask me about it. They were impressed with it and asked me a few questions. One person asked me what it was and if it was a phone. I think the exclamation was, “what is that! ?” Both people were equally impressed which tells you that the design and look of the ZenPad C 7.0 is not screaming that it is budget or low priced. 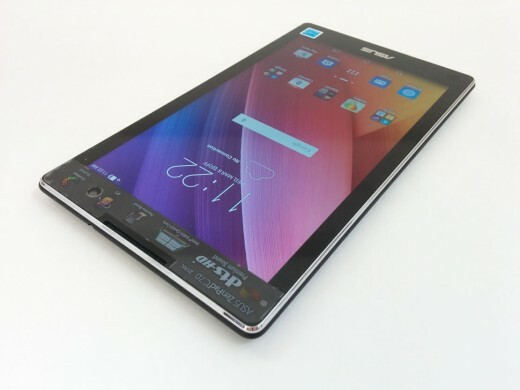 Regarding the small size of the Z170C, keep in mind that the previous generation of 7-inch tablets had a lot of bezel. The Nexus 7, arguably the most successful Android tablet ever, had plenty of bezel in comparison to the ZenPad C 7.0 tablet. In this regards, it may be hard to comprehend just how compact and portable this 7-inch tablet really is. I used the Kodi app (media player) with great delight. This app alone really turns the ZenPad C 7.0 quite a handy media player. The resolution and display performed just fine for this purpose which is a real plus. I found that watching movies or television on this screen rather than on my Nexus 5 screen was a real benefit of having this tablet. The volume rocker and power button have a great feel and offer a clear and concise press. The feel is a bit better than what the ZenPad S 8.0 has in terms of response. I suppose with clickier button they may be prone to accidental presses, but I didn’t find that to be an issue. The buttons are just nice to press! The micro-USB port is tighter than what you might expect. My wife wasn’t overly confident in plugging it in to charge and frankly I didn’t want a situation where a micro-USB connector is being rammed into the hole in the wrong orientation. I would suggest that it’s worth double checking the orientation of the plug carefully before plugging in, simply for the fact that it takes more force that you will find on most other devices. I don’t know if this plug will loosen up over time or not, but it could present issues if you’re not careful with the correct orientation and get it wrong. The build of the ZenPad C 7.0 is good, although my model had a bit of a creak to the chassis when squeezed. Under normal conditions you wouldn’t need to squeeze the tablet to the point of hearing a creaking sound, but I’m review this tablet and pressing firmly is what I need to do. With just a 2 MP rear camera and a 0.3MP front facing camera, I don’t want to spend a lot of time detailing the results and performance of photo taking and video recording. What I can say is that you really need brightly lit indoor settings or you will struggle to get a clean photo. Outdoor performance is fine, thanks in part to better lighting. I will say that kids certainly won’t mind the quality and they can have some fun taking pictures or recording videos. Mine did! During my review period, Asus had two firmware updates roll out. Any time an update notification happens, I’m confident that the overall experience is going to improve and become more stable. It’s a good sign when updates roll out on a regular basis after a product is released because it shows the company is working to make their products run even better. Like every other ZenPad tablet, the Z170C has a front facing speaker, but in this case, it’s just a single speaker. Asus went with DTS-HD Premium Sound on all ZenPad models which can fetch some nice audio especially when connecting an external speaker or using headphones. Volume wise, it’s not the loudest speaker. Noisy environments will present problems, so in those conditions you might want to make use of a media player that has a volume amplification setting like the Kodi media player app. I connected a portable speaker and I can tell you one thing for certain. The ZenPad C 7.0 can pump out serious volume! The onboard speaker may be limited volume wise, but an external speaker will fetch great results. 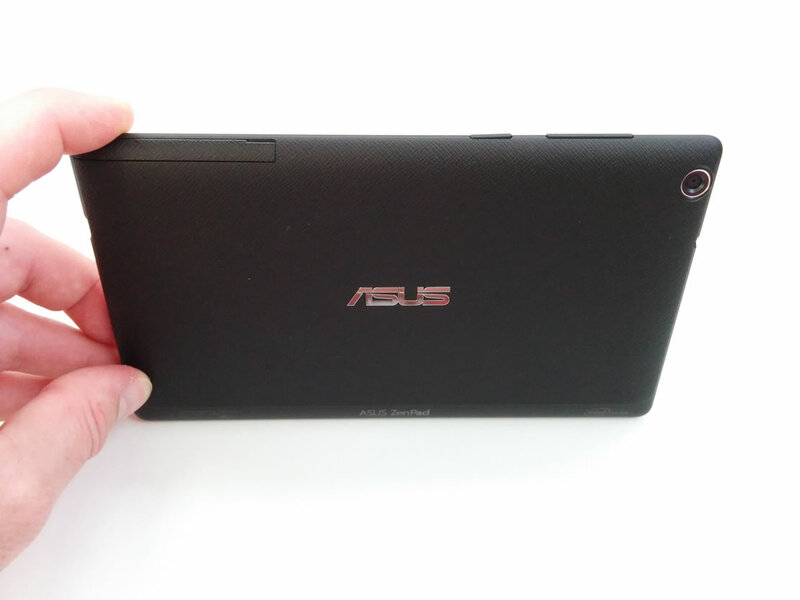 Asus ships the Z170C (and all other ZenPad tablets for that matter) with an Audio Wizard app. This offers up presets, bass, treble, and an EQ. I was not able to use the Audio Wizard when connecting my external speaker via Bluetooth so keep that in mind should you buy this tablet. Using the audio jack with my external speaker allowed me to use the Audio Wizard. Overall the sounds can be tweaked with noticeable results via the Audio Wizard. If you like to tweak, this should make you happy. I’ve mentioned that size is what I love most about the Z170C. 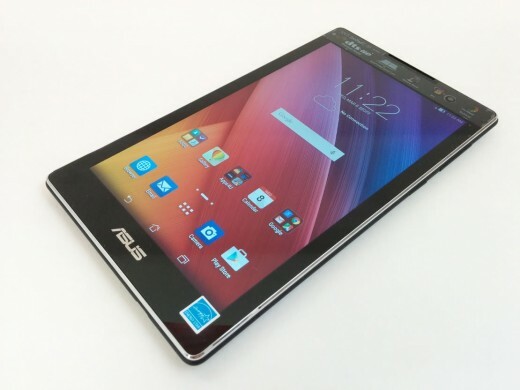 It’s prudent to have a quick look at size comparisons to other 7-inch tablets that you may be considering or that you may own already. There are certainly a lot of Nexus 7 owners out there and perhaps you’ve considered buying one rather than getting a ZenPad. Size matters! Being able to palm a tablet, holding it easily in one hand, is a nice feature to have. Certainly the ZenPad C 7.0 is a winner in this regard. The width across comparison goes like this: Z170C (108mm), Nexus 7 (114mm) and Z370C (110.9mm). That is a very substantial margin of victory for the Z170C. The length comparison goes like this: Z170C (189mm), Nexus 7 (200mm) and Z370C (189mm). 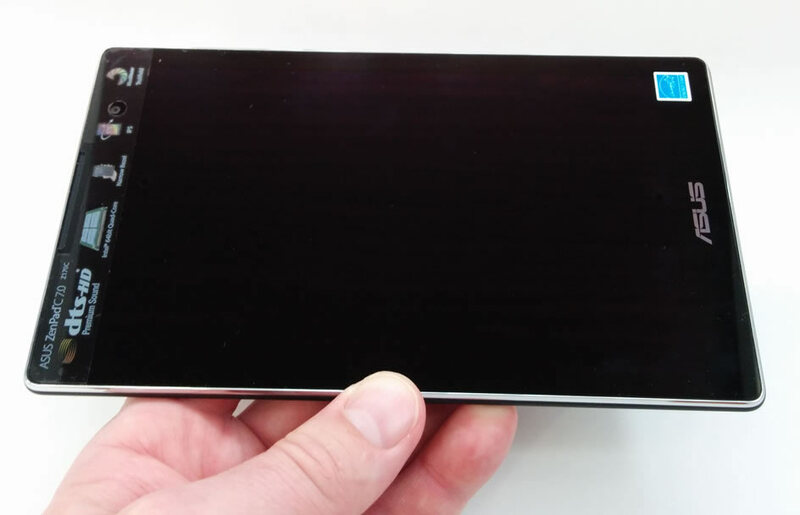 The thickness comparison goes like this: Z170C (8.4mm), Nexus 7 (8.65mm) and Z370C (8.7mm). In terms of weight, the comparison goes like this: Z170C (265g), Nexus 7 (290g) and Z370C (272g). Surprised by the results? The Z170C wins even against the most expensive ZenPad 7.0 (Z370C) but that is due to the interchangeable design. 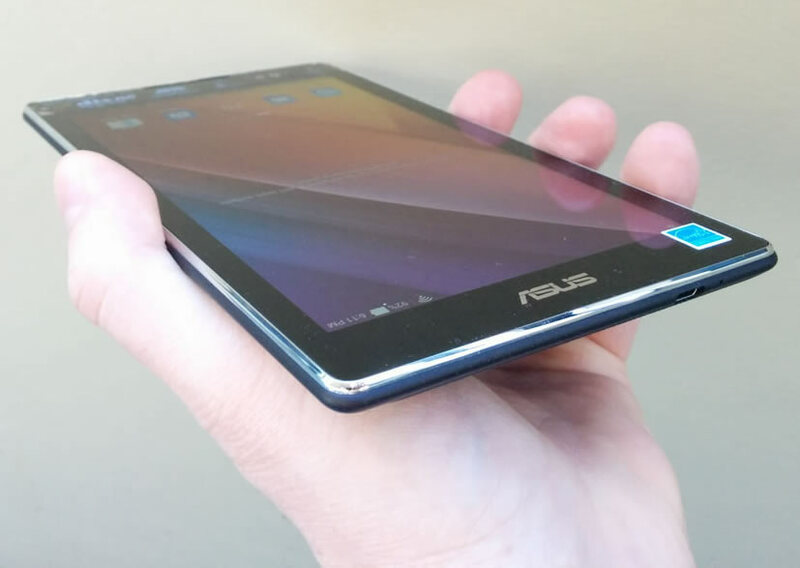 So if you are considering 8-inch vs. 7-inch, just consider that this new generation of 7-inch tablet is even more compact than you might think. Not a lot of bezel which makes a huge difference in terms of portability. I’m not suggesting the ZenPad C 7.0 is light, but between these three tablets it’s a decisive winner. I will admit that when I considered the price of the ZenPad C 7.0 (Z170C) I had modest expectations. However this tablet really surprised me. It’s terrific! More times than not, my kids requested to use this tablet and not the bigger ZenPad 10 or ZenPad 8.0. That confirms my feelings about this tablet. You might be scared off when you look at the resolution but don’t be. In most instances it’s a non issue. Movies, games, photos and websites look just fine on the Z170C display. The resolution is “par for the course” on this price point of Android tablets. I’ve already raved about the small compact size of the Z170C but it’s certainly my favorite part of this tablet. Although 8-inch is trendy these days, it’s well worth considering a 7-inch tablet like this if portability is key for you. When I took the ZenPad C 7.0 to a party, people inquired about it and they were particularly interested in the small size of it. Performance is respectable for the price. The benefit of Android gaming is that most apps aren’t overly resource hungry. Thus, you can get away with a slightly slower processor and 1GB of RAM that the Z170C has inside. A majority of you will be using it for web surfing, social media and YouTube and for all those purposes, you will be happy. I recommend the ZenPad C 7.0 on the basis of its small size, affordable price, and nice looks. It’s not the fastest and the battery life may not be top of the class, but for $94 US or less on sale, this is a great portable tablet. Too bad for me that I don’t have the 3G version of this tablet or I might be inclined to insert my SIM card and leave my Nexus 5 at home. That should illustrate quite clearly how I feel about the ZenPad C 7.0 regardless of a few shortcomings.